Whether you want to eat greens because you like them or you want the health benefits, Dana Jacobi’s book, The Power Greens Cookbook will expand your recipe choices. Focusing on fifteen greens from arugula to watercress, Jacobi gives practical information on why to eat them, how to select, store, and prepare them including 140 recipes. As a dietitian Jacobi hopes to entice people to eat more greens for the health benefits they provide and feels that ease of preparation as well as great taste and variety are the keys to success. Vegan, vegetarian, and gluten-free options are included. The recipes are organized in categories: dips, spreads, and bites; soups; salads; main dishes; pasta and grain dishes; side dishes and condiments; and small meals and snacks. Many of the recipes are inspired by the flavors of diverse regions from the Mediterranean, to the Far East, India, and Americas. Some recipes are remakes of old favorites such as watercress tacos, baked macaroni and cheese with spinach, and Hoppin John Stew with mustard greens. Others like cabbage and Brussels sprouts soup and salmon steamed in savory cabbage may be less familiar but equally enticing and tasty. Each recipe has an introduction that provides anecdotes, history, and the cooking tips, a list of ingredients, and step by step instructions. Most of the recipes use easy to find ingredients and require only basic skills. A full page photograph of the finished accompanies most of the recipes. 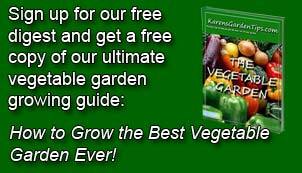 An excellent resource for expanding the use of greens in the diet. 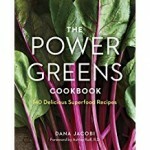 To buy The Power Greens Cookbook from Amazon.com Click Here.